Fully automated Expert Advisor without martingale. It is clear Night trend strategy. Special candles, custom indicator and maths are used for entries. The minimum deposit is 100 USD, default settings recomended for EURUSD m5 gmt +2. Use a broker with good execution and with a spread of under 2 pips. Every VPS specifications are welcome. Stoploss, pips - real stop loss in pips. 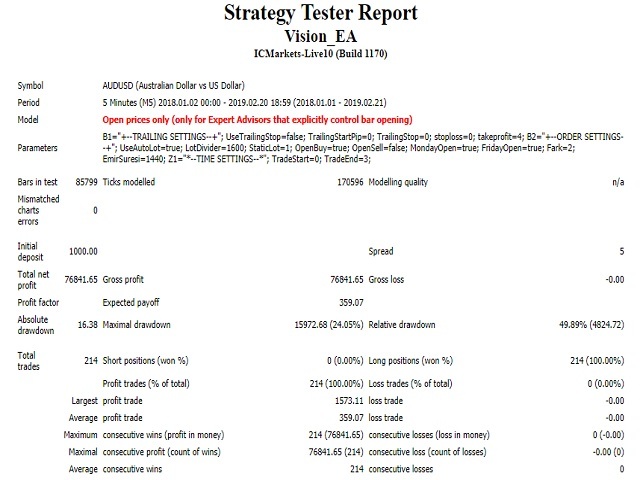 Takeprofit, pips- real take profit in pips. Allow Buy Trades - enable/disable buy trades. Allow Sell Trades - enable/disable sell trades. Allow Monday Trades - enable/disable trades on mondays. Allow Friday Trades - enable/disable trades on friday. Order entry difference, pips - the value in pips that where the orders will open. 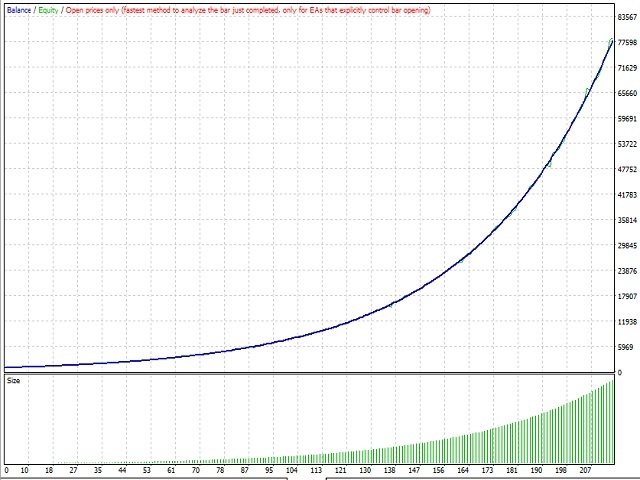 Max Spread, pips - the maximum allowed spread value in pips. Next order open time - limit orders into the between time frames.